The Center for Education Development delivers well-planned and easily accessible continuing education activities in various formats and at a wide range of venues. Activities are designed to assist healthcare professionals who make up the care team with the continuous challenge of achieving and maintaining quality and efficiency in daily practice, and striving for the best patient care outcomes. 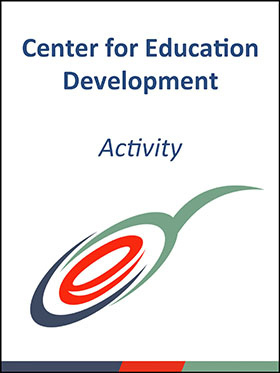 Have you participated in a LIVE CED CE activity? If so, click here to find your activity and claim credit. In support of improving patient care, the Center for Education Development is jointly accredited by the Accreditation Council for Continuing Medical Education (ACCME), the Accreditation Council for Pharmacy Education (ACPE), and the American Nurses Credentialing Center (ANCC) to provide continuing education for the healthcare team.